November 14, 2017 This post may contain affiliate links, which means that at no extra cost to you if you buy from one of the product links, I’ll earn a small commission which helps this site run. See full disclosure here. I love a bold, beautiful lipstick color. 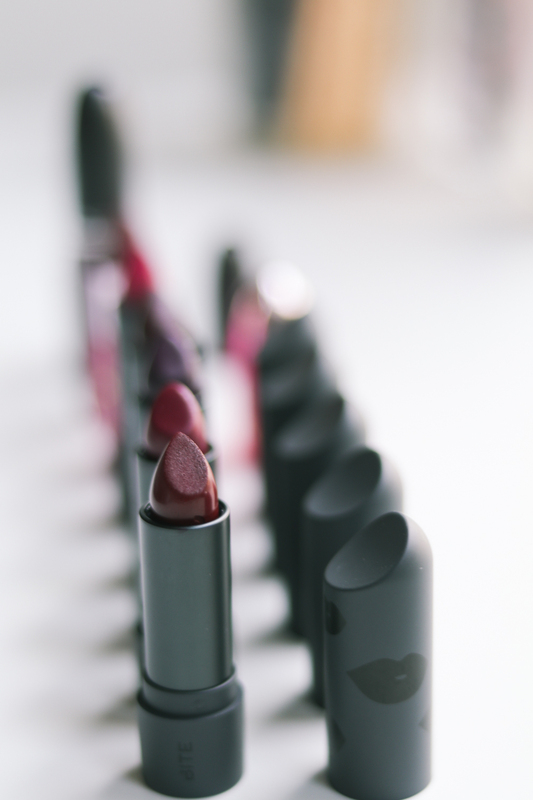 There’s something so classic about the deep red lipsticks in the fall. They’re just so perfect! I love the deep burgundy or mahogany colors. 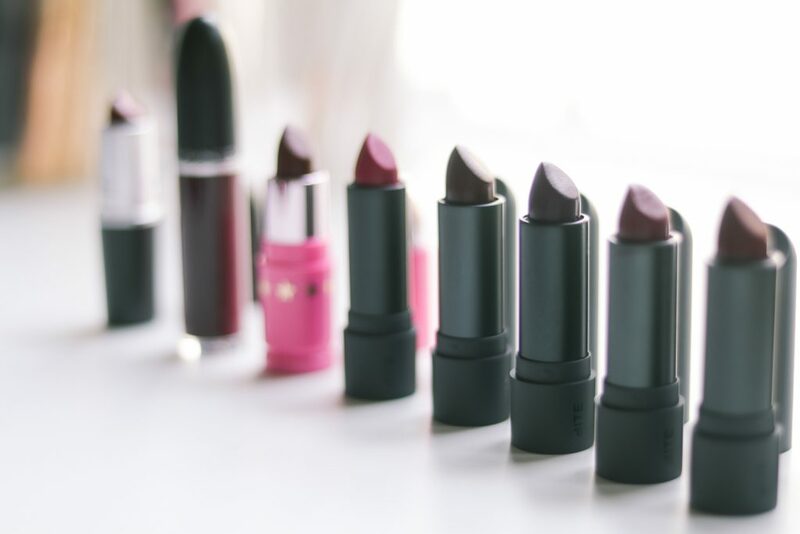 While there are so many different lipstick brands out there, I definitely have a few favorites. And I love how lipstick alone can totally dress up your outfit or give you a more chic appearance. One of my all time favorites has been MAC Cosmetic’s High Drama. It’s a deep dark plum color that goes on smooth and looks absolutely beautiful. Another similar favorite is Jeffree Star’s Unicorn Blood. My friend recommended this to me probably five years ago and I’ve been obsessed with it ever since. One of my favorite looks is using Unicorn Blood as a base and then applying Gerard Cosmetic’s lip gloss in Seduction on top. 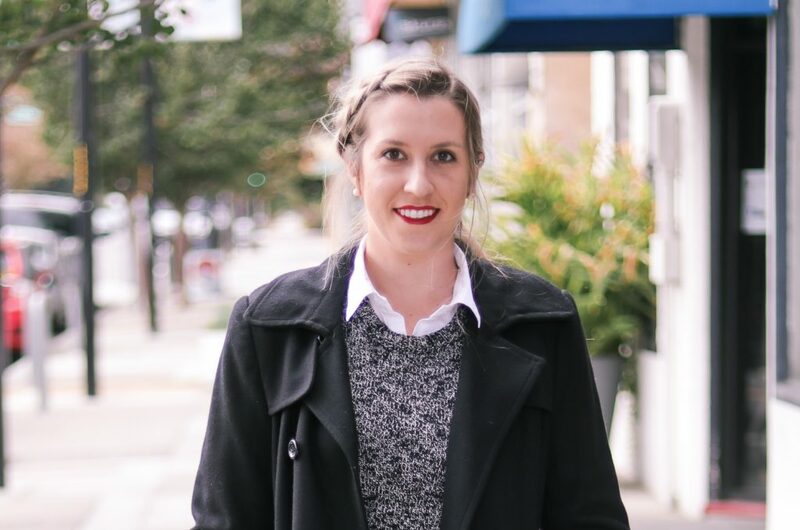 It creates a deep, bold lip color perfect for fall. 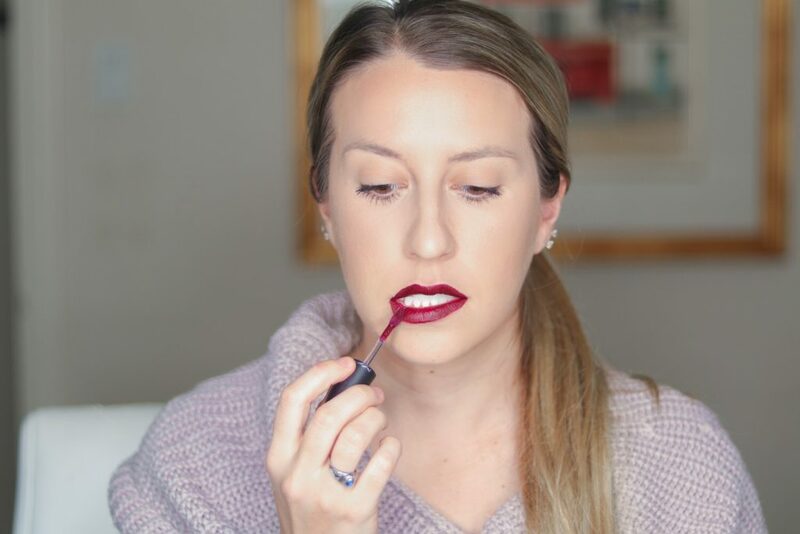 A few other of my favorites are these Tarte quick dry lip paints (in Killin’ It, Acid Wash, and Vibin), this Bite Beauty lipstick (in Radish, Liquorice/Oxblood, Beetroot, Berry Rouge, and Mistletoe), and this Pat McGrath lipstick (in Elson 003). Bite Beauty has so many beautiful colors that are perfect for that classic fall lipstick. Dark lipsticks can accentuate any dry or chapped skin on your lips, so it’s important to take care of your lips. You can easily make your own lip scrub, try these fall flavored DIY lip scrubs. But I also love this one from Tarte. Some of these lipsticks have a deeper, more purple finish.